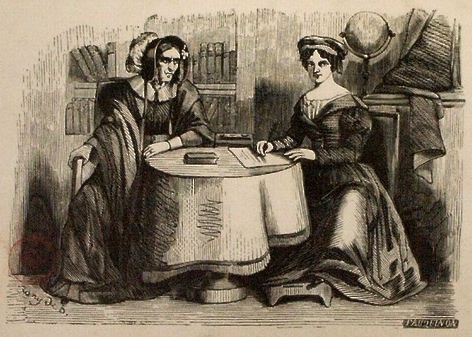 In June of 1834, Marie Catherine Sophie, Comtesse d’Agoult (later known as the writer Daniel Stern), at the urging of her friend, novelist Eugène Sue, sought a reading with Mlle. Lenormand that promised great things. Four days later a hopeful Eugène Sue obtained a reading. Both Marie d’Agoult’s reading and that of M. Sue are recounted in her memoirs. Thus we learn of Eugène’s unrequited love for Marie and a prediction of her future that was soon to take an astonishing turn. The following year Marie divorced her husband and met the pianist and composer Franz Liszt, with whom she had three illegitimate children (one of whom became the celebrated and influential wife of Richard Wagner). Here is Marie d’Agoult’s own account. I went to Mlle. Lenormand on 23 June of the year 1834, at the suggestion of the famous novelist, Eugene Sue, who spoke to me of her as a prodigious person through her power of penetration and intuition. Mlle. Lenormand then lived in the rue de Tournon and gave her consultations from a very dark, dirty, and strongly musty room, to which, using some pretty childish tricks, she had given an air of necromancy. It was no longer the period of her brilliant fame, when, by virtue of her prediction to Madame de Beauharnais, she had achieved credit with the greatest rulers of Europe – it will be recalled that, at the Congress of Aachen, Alexandre visited her frequently and seriously; Lord Wellington also consulted her to learn the name of the man who had attempted to assassinate him in 1818; she was now almost forgotten. Few people knew the way to her home. Old, thick, sordid in her attire, wearing a square cap, how medieval she appeared, backlit in a large greasy leather armchair at her table covered with cabalistic cards; a large black cat meowed at her feet with a witch’s air. The prompt and piercing glance of the diviner, thrown on the sly, as she shuffled her cards—for a few francs in addition to the common price for what she called the big game (grand jeu)—she revealed to one, without doubt, the kind of concern and mood of the character of the one who consulted her and helped to predict a future that, after all, for each of us, and except for the very limited intervention of chance, is the result of our temperament and character. What she said amazed me because I did not know myself then, otherwise I could have, to some extent, been my own oracle, and predicted, without consulting anyone [else], what my destiny would be. On my way home, I noted down what Mlle. Lenormand had said to me. I’ve copied it here for those curious about these kinds of meetings. “There will be a total change in your destiny in the next two or three years. What would appear to you at this time, to be absolutely impossible will come true. You will entirely change your way of living. You will change your name thereafter, and your new name will become famous not only in France but in Europe. You will leave your country for a long time. Italy will be your adopted country; you will be loved and honored. “You’ll love a man who will make an impression in the world and whose name will make a great clamour. You inspire strong feelings of enmity in two women who will seek to harm you by all means possible. But have faith; you will triumph through everything. You will live to be old, surrounded by true friends, and you will have a beneficial influence on a lot of people. I also found, among my correspondence with Eugene Sue, a letter which refers to Mlle. Lenormand, and I have joined it here to supplement what I have told of this incident. I wanted to deny it; she insisted. She spoke to me of a rare spirit of infinite charm; she painted for me a portrait that I would not dare recount here, but which was not unrecognizable. Then, seeing I was so completely divined, I was silent. I limited myself to asking her if there was, therefore, no hope, if some card had not been forgotten, if the combination was without error. The old woman began to re-calculate with an infernal complacency. Alas! Madame, the result was absolutely the same: a deeply passionate feeling, without any hope, disturbed my present and destroyed my future. You see, Madame, in comparing this prediction to that which was made to you, I am doubly subject to accuse the fates; because it is said that the man whose destiny you will share will be famous, from which I conclude that the lover you push away will remain obscure. Oh well, Ma’am, I dare confess it to you, this glory announced to the man whom you will deign to love, I dreamed about it, I aspired to it, I felt strong enough to win it; but now that it is foretold that I will not be loved, I’ve dropped from the height of my dreams and ambitions to sadness and discouragement, empty of heart and spirit. I wish to thank “Terry” who, in a comment on my detailed post on Mlle. Lenormand, introduced me to this material in Mes Souvenirs by Marie d’Agoult, Vol. 1, 1880, pp. 277-279. I cobbled the above account together from internet translators. Please feel free to share any corrections in the comments. The incident is only mentioned briefly in the biography by Richard Bolster (see cover photo above). See also my post: Madame Le Normand: The Most Famous Card Reader of All Time. wow, what an inspiring way of delivering the message of the cards Mme. Lenormand had. I always pictured her readings as harsh, but it seems that I was wrong. I need to buy this book, thanks for mentioning it. 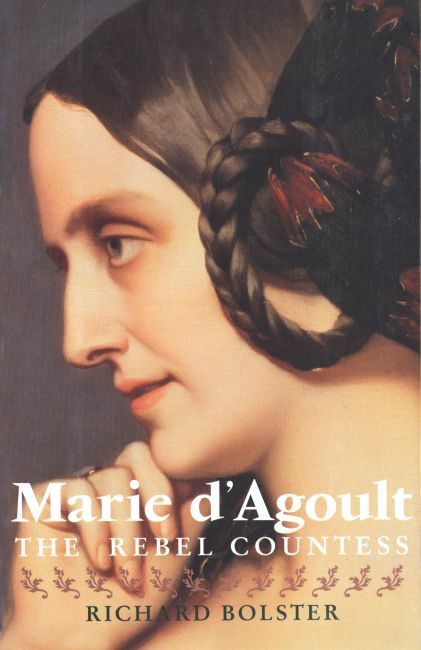 Rosina – The book in English is a biography that includes a much shorter summary of the reading and seems to have missed the nuances of Sue’s letter – all of which are found in Marie d’Agoult’s memoirs in French. As to her being harsh, it sounds like Eugène Sue experienced some of that, while Marie d’Agoult’s experience was much more pleasant. 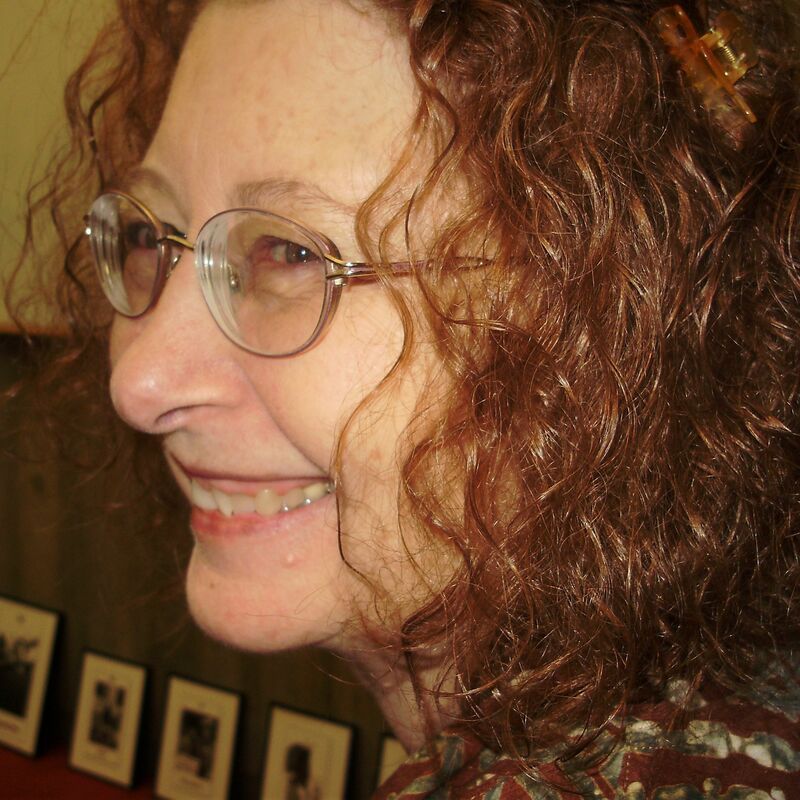 I think it would be prudent to remember that Maris D`Agoult was a professional writer and journalist. The account of the readings is storytelling. Isn`t that obvious? I browsed the French version and she also claims that the Duke of Wellington had a reading with M LeNormand. Sounds a bit unlikely. What do you make of that? And where is the piece of paper on which Marie D`A wrote the account of the reading,I wonder? Unsurprisingly consigned to a waste-paper basket of history,it seems! It is gratifying and profitable for the diviner to be seen as supernaturally wise of course. But it is also gratifying for the client to have had an experience that both makes her interesting and validated…..
You make a good point that Marie d’Agoult may have exaggerated her own account of this consultation. She may even have made up the letter from Eugène Sue. Without researching her personal papers I am unable to know what evidence she left. It sounds as if you have already searched the archives for the paper she wrote the day of the reading and haven’t been able to find it. I can’t speak to the reference to Wellington except to say that she lived in England for a while and who knows who she read for there? However, if you look at my larger post on Mlle. Lenormand (link at end of this post), you’ll see that there are remarkable similarities between the effect Mlle. Lenormand had in this siutaiton and what is described by others. She had the ability to leave a deep impression on people. It seems that you object to anyone taking this first-person account as having any truth to it. I, OTOH, have been collecting as many accounts as I can to see what we can learn about the character and methods of Mlle. Lenormand before passing judgment. I would agree that by all accounts, Mme LeNormand clearly had an effect on the people who consulted her. Yet,”having an effect on people” is not the same thing as actually being able to predict their future. it is rather that I would like to point out that to accept the account as true,without questioning it, is to show a strong bias towards believing in the “supernatural” or “psychic” in the form of accurate and detailed precognition that cannot be substantiated. You may say that I show a bias the other way. Which in this case means you have to find the original dated piece of notepaper, not me! Tarotist – I think you misunderstand my intent. I am interested in the history of cartomancy and the lives of cartomancers (a social history). I’m also interested (elsewhere) in what tarot and other forms of cartomancy do do and their effect on people’s sensibilities and lives. I’m not out to “prove” predictions, and I don’t see where you got this impression from my post. This is simply a translation of an account in a published memoir (as I made clear). Proof of predictions (if that is realistically possible) would need to come from far more scientific trials than I can possibly construct or run. It is a separate topic entirely. What I found of greatest interest in the story above is the brief description of Mlle. Lenormand & her surroundings and the *story* of the relationship between Marie and Eugène played out via the readings and letter. You are the one who brought up 1) proving or disproving Mlle. Lenormand’s predictions and 2) the whereabouts of the notes Marie d’Agoult made upon leaving Mlle. Lenormand. These are not my concerns and I don’t understand why you are putting them on me. Yes,but surely you do tend to believe in the predictive possibility? People went to Mme LeNormand,above all, to ask about the future and thats what she did-predict the future .All the accounts show this. If you don`t believe that it is possible to tell the future, doesn`t the study of cartomancie such as hers then become more the study of the psychology of conning people or fraud? A fascinating and worthwhile study,btw. My belief or disbelief is not at issue here. Belief is not “proof” of anything. The study and use of Tarot and other decks is not limited, as you’ve stated, to a black-or-white, either/or option that could only be one of these two: true prediction OR fraud. My personal favorite phrase for the purpose of Tarot reading is: “Tarot helps you meet whatever comes in the best possible way.” How it helps and what the “best possible way” is tends to be unique to each individual. I present approaches I’ve found most helpful in several of my books. It’s far too complex a subject to discuss here, but it has little to do with either prediction or fraud. There is a great diversity of reading styles and beliefs. You are trying to turn this post into a discussion of concerns that seem foremost in your mind but that have little relevancy to what I actually posted – a first person “account” in a memoir. You are free to believe whatever you want. I don’t think the story above proves or disproves anything. I prefer to just enjoy the story and the delightful way in which it was told. From The Monthly Packet of Evening Readings for Members of the English Church, Vol. XI, January-June 1871, “Recollections of St. Cloud,” p. 306-308. 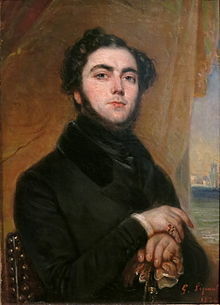 “The Duke of Wellington was then Ambassador to the Tuilleries. Pending the negociations for the cancelling of the Treaty, he was fired at one night coming out of the opera. . . .The question as to who fired the shot assumed its due place in public curiosity. . . . The Embassy became seriously annoyed, and set on foot the most active steps towards the discovery of the culprit. But all to no purpose. Battled in their researches, and finding natural means unavailing, the singular idea occurred to one of their attaches, Colonel F , of trying what the supernatural could do, and of consulting Mademoiselle Lenormand. Three of them went accordingly to the famous clairvoyante, and the question was put to her, ‘Qui a tire sur Wellington?’ Her answer was, ‘Les anciens disent, que la vérité est dans un puits. Consultez le puits.’ [“The ancients say, the truth is in a well. See the well.”] Somewhat disgusted at this ludicrous piece of advice, the three gentlemen paid their fee and retired. “The following day they chanced to be at St. Cloud, and in rambling through the Park they came upon the above-mentioned well. Whether in the mere spirit of jest, or with some latent belief in the prophetic gift of Mademoiselle Lenormand, the youngest of the party proposed testing its merit there and then. The suggestion was laughingly agreed to. The young man bent over the well, and throwing his voice down into the gaping darkness, called out, ‘Who fired at Wellington?’ The voice came back, ‘Wellington!’ A roar of laughter capped the echo, making the wood ring, and scaring the rooks from their resting-places; and the sooth-seekers, as they walked away, agreed that, although so many fools frequented her, Mademoiselle Lenormand was a very clever woman.